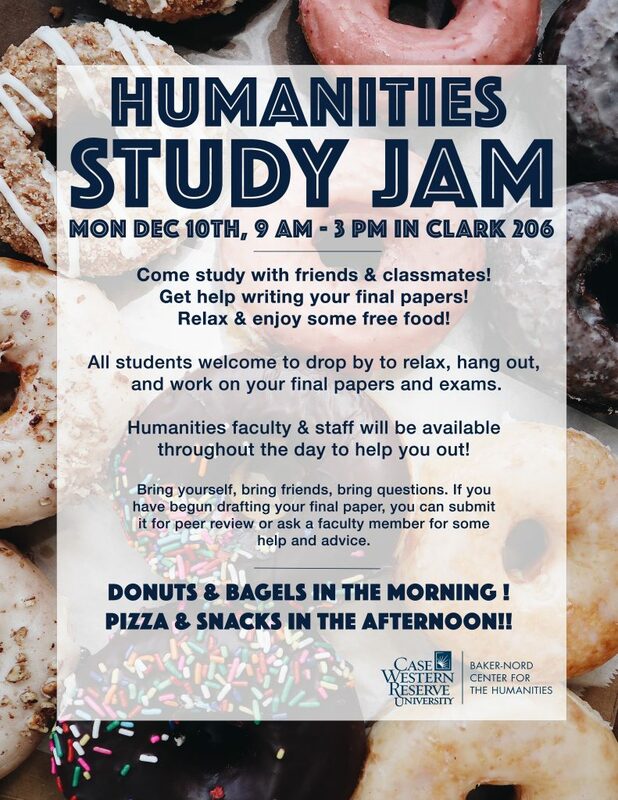 Cap off the fall semester with a study jam! Bring friends and classmates, enjoy free breakfast and lunch, and get help with your final papers. Monday, December 10 (Reading Day), from 9am – 3pm in the Baker-Nord Center.